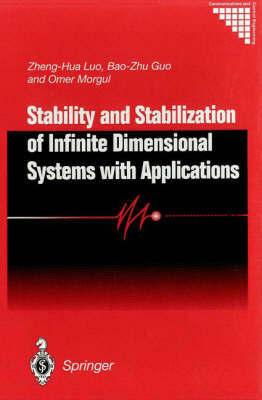 This book reports on recent achievements in stability and feedback stabilization of infinite systems. In particular emphasis is placed on second order partial differential equations, such as Euler-Bernoulli beam equations, which arise from vibration control of flexible robots arms and large space structures. Various control methods such as sensor feedback control and dynamic boundary control are applied to stabilize the equations. Many new theorems and methods are included in the book. Proof procedures of existing theorems are simplified, and detailed proofs have been given to most theorems. New results on semigroups and their stability are presented, and readers can learn several useful techniques for solving practical engineering problems. Until now, the recently obtained research results included in this book were unavailable in one volume. This self-contained book is an invaluable source of information for all those who are familiar with some basic theorems of functional analysis.